Two previous blogs provide important context for this one. In Evergreen and Our Movements Great Conundrum I sort of speculated on why so little use has been made of the Evergreen project’s mistakes and failures as a movement learning opportunity. I strongly suggested it might be, in part, due to a complicated movement-wide reluctance to engage in a robust practice of public accountability. If that has substance, then it would be a priority question for all of us to explore. Power and transparency are inseparable. One can’t be effective without good information. In a later blog, The Organic Elements in Co-Operative/Solidarity Economic Development, I outlined the perspective I work from in thinking about building our movements. What I see as the empowering value of accountability is central to this perspective. Accountability is transparency in action. In this blog I want to share my current thinking about the meaning of the Evergreen project to our cooperative/solidarity and other alternative economic movements. This meaning is of major importance. That project may be the most concentrated effort to mainstream worker cooperatives of an industrial size in the US. To boot, it was combined with an innovative green economic development strategy. And there was the intention to anchor them deeply in the local community. It represented the prototype of the extraordinarily imaginative Cleveland Model. With its opening in 2009 the Evergreen Cooperative Laundry was to be “the first of ten major enterprises in the works in Cleveland.” Even from a more humble viewpoint, it represented a major experiment in “scaling-up” of the worker cooperative enterprise, which is being hailed as the direction to go for the cooperative and solidarity economic movements. So, knowing about this project and the model and how they have fared is pretty vital. 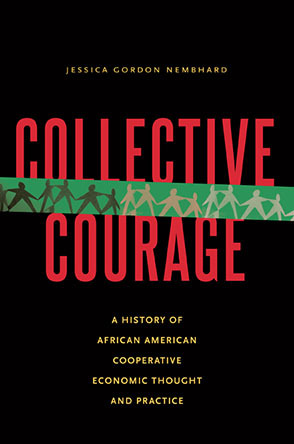 Its crucial information for movement folks to figure out overall strategies and approaches to building successful cooperative/solidarity economic projects as well as a powerful movement. Learning about the problems and the red flags such an experiment necessarily produces is of specific great value. Our alternative economic movements are in an important learning phase for how to move forward. Evergreen experiences, its successes and especially its failures, are critical learning opportunities for all of us. I, for one, am in a process of finding out what I can about the Evergreen project and the state of the Cleveland Model. My thoughts and feelings about it are unfolding as I go. Above all, Evergreen is an experiment still in process. I don’t see how it could be anything but. The original design should have incorporated a relentless focus on what was and wasn’t working. Expectations from within needed to have incorporated an acute awareness that it could very well fail. And an acute, persistent awareness that if it did fail, there would be much to learn from that. This is basic to any kind of experimentation. The history of modern physics, evolutionary anthropology, and cancer research is little more than stories of developing continuous problem-solving experiments so that they provide both new information and greater clarity on what we do not know but need to know. Thus, pointing to the future lines of experiments. That basic history is also full of awful examples of hubris that dogmatized ideas and practices with no justification to do so. These are cases where robust accountability failed. Radical mastectomy is one of the more gruesome examples. There is also a great deal of national buzz among activists and community-development specialists about "the Cleveland model." Potential applications of the model are being considered in Atlanta, Baltimore, Pittsburgh, Detroit and a number of other cities around Ohio. My sense of things at this point is that nothing like an embodied sense of experimentation has guided Evergreen. Rather, it seems, the project has become (and maybe was even conceived to be) a showcase for marketing a model across the country. When I say “conceived” that doesn’t necessarily mean that objective was forefront from the very beginning. All of us have harbored unrealistic hopes that inspired us far more than they should. Right now I am not seeing how Evergreen should have ever been thought of as a model. A project for testing out an imaginative model, absolutely. For its own sake, I think it should have been seen from the get-go as an important experiment. And, some seven years later, it should be considered nothing more than an important experiment that is still struggling as an experiment. It does not have to prove itself a great success. Its very existence as an experiment to learn from is full justification for the effort, if not its excesses. Yet, I see few signs that its designers and implementers have embodied this sense of experimentation as its guiding focus. May this be a great lesson for all of us. May an enormous sense of the precious value of intellectual humility be in neon lights every step of the way in our project and movement building. May the need for generous and responsible public accountability strike deep chords in all of us. Rather, there is reason to believe that this particular project, with support from our movements, trapped itself in expectations of it being far more than an experiment. If this line of speculation holds some water, I can imagine four very human dynamics that could have led the way to. (I want to acknowledge before going on that I am benefiting from hindsight in my observations.) First, the genuine belief that such a model for scaling-up the movement and addressing the severe economic and social needs of our inner cities across the country is desperately needed. Second, that addressing these deep-seated problems needs to happen now. Third, that spreading such a model (or models) across the country will take a lot of money. Fourth, oh! How good it feels to have my ego stroked by others and me. This combination of thinking and motivation often leads to bubbles of false hopes and blindness to very fundamental reality factors. Regarding the first: it seems to me that no one involved with the Evergreen project challenged the assumption that our movements have the capacity to build to big scale. That is, asking probing questions like: can we really go big time for scale, and still maintain the integrity of our alternative economic principles, values, and basic institutions? Also: do we actually have the managerial skill to make such a big move? Two thoughts related to the second possible factor. All actions lead to unintended consequences. Fierce urgency pushes this risk to scale and blinds us to seeing what is wrong with what we are doing. With regards to the third point: no need justifies marketing, in the best sense of the word, an untested product. This is even more relevant when the product is for meeting dire social needs. Finally: we are full-blooded Americans. Lusting after big results, being seen as big heroes, going for the proverbial “brass ring,” are part and parcel of our culturalDNA. Marketing anything will trigger these great success memes that curse our culture and globalization in general. This dynamic means we have to build-in a powerful alarm system for detecting those memes when they go active. I haven’t seen any signs of this kind of thinking so far in my exploration of the Evergreen phenomenon. Not only Evergreen, but with almost all of the projections of how to go big. I am strongly convinced that we cannot, in our lifetime, change our culture’s core political dynamics. We are those dynamics just as much as we are the ones wanting to change them. Ego is wickedly smart. It is dominant in the mainstream. However, we can begin building transformative cultures within our larger culture from which we can generate experimental structures, and learn from them as a path forward. Still, the course is tricky. Very tricky. Hail, hail! to a robust and loving public practice of accountability that can keep our power and transparency dynamically connected.